Installed this weekend at William Loveless Hall in Wivenhoe. Six cassette blackout Roller Blinds. 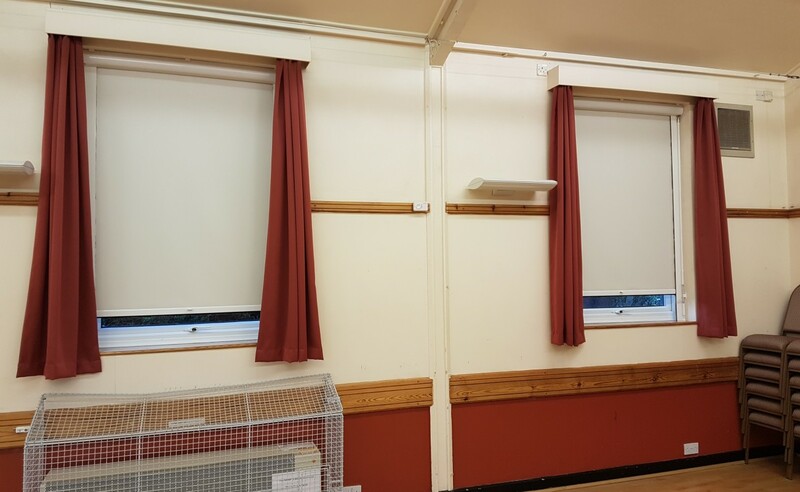 Each blind has a channel mounted down each side of the wall to guide the fabric and aid in preventing light entering the room. The blinds are operated by a winding handle that can be left in place or easily detached by pulling firmly against the magnetic connector.